Civil & Site Engineering: Civil EngineerinCivil & Site Engineering: Civil EngineerinCivil & Site Engineering: Civil EngineerinCivil & Site Engineering: Civil Engineering by its nature is a demanding and dynamic service. Sensitivity to today’s business and regulatory requirements is often as important to a project’s success as the technical issues. We respond to projects large and small by accentuating the natural attributes of a site and demonstrating sensitivity to the environment while creating a functional plan. Increasingly complex issues in planning design and construction requires a comprehensive understanding of project delivery needs. Changing technologies need to be applied with practical insight so that goals and business objectives are met. We address virtually any level of complexity in a project with our professional service, continued training and knowledge of current technologies. Our commitment is to enhance the value of our client’s business. 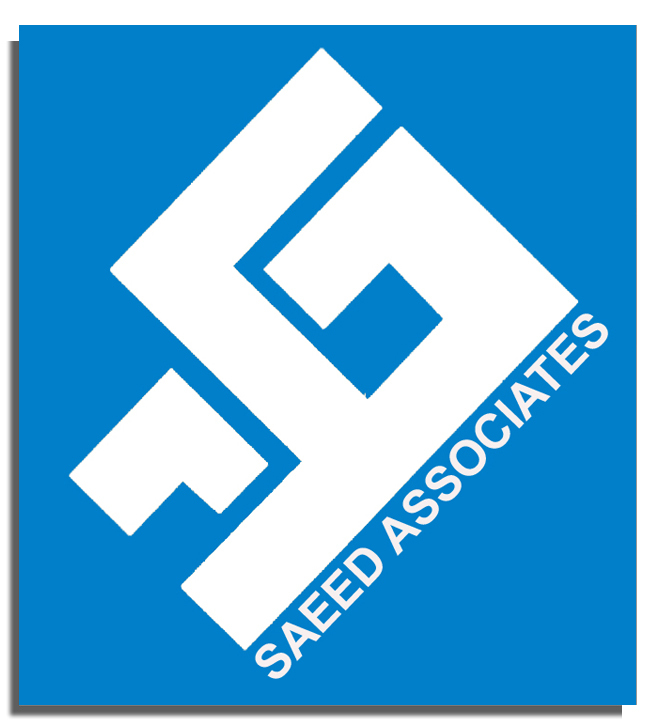 Understanding schedule constraints, cost issues, regulatory require-mints and being in step with our clients’ needs are what separate Saeed Associates service from other companies. Saeed Associates’s goal is to make our clients successful. By providing high quality, added value service, along with the fundamental philosophies of engineering excellence, practical solutions and personal service we look to be successful on every project, every day. Municipal Engineering: Building a better community is what we are all about. Our licensed professionals, with proven experience, look at every project as if it were in their own backyard. Our dedication to personal service is intentional for building enduring client relationships. Thus, we are proactive in our follow-up and strive for continuous improvement. We even review projects with client’s years after construction is complete to ensure and evaluate long-term success. We apply the latest technologies and innovations with a human touch in a practical manner. Saeed Associates Consultants works to create more livable places. Each project assignment is an opportunity to build a better community. By providing high quality, added value service, along with the fundamental philosophies of engineering excellence, practical solutions and personal service we look to build a better community one space at a time. Water & Wastewater Engineering: Ever changing permitting and compliance requirements place even greater demands and our most valued resources. Finding cost effective, innovative, solutions can make the difference in success. Increasingly complex issues in planning design and construction requires utilizing latest innovations while maintain reliable, proven methods. Whether it’s planning and modeling, systems, evaluations, maintenance, retrofitting, or rehabilitation we look for an effective combination of solutions. Changing technologies need to be applied with practical insight so that goals and business objectives are met while protecting the public’s interest in these valuable resources. Our projects include a broad range of water resource needs. From water main system design or cathodic evaluations; to wastewater collection or systems planning or regulatory compliance and beyond, we are here to meet and exceed your expectations. We provide the planning design and construction engineering for a broad range of water supply, distribution and wastewater reclamation needs, as well as funding assistance. Excellence in planning and understanding critical information are keys to meeting the needs of infrastructure maintenance, growth and regulatory issues. These all Excellence in planning and understanding critical information are keys to meeting the needs of infrastructure maintenance, growth and regulatory issues. These all impact our valued water and wastewater reclamation resources. Utilizing today’s technologies with a practical understanding and approach we can add value to your system. Saeed Associates diverse staff of engineers assists our clients in meeting the transportation demands of tomorrow. Changing requirements, increasing traffic volumes, expanding inter-modal needs, and a deteriorating infrastructure place an added strain on decreasing budgets. These challenges require a staff that is updated on technologies and regulatory requirements while also having the experience to provide practical solutions. Our value added approach means we look to provide service that makes our client more successful. We offer enhanced public involvement programs, assistance in obtaining alternative funding sources, and peer reviews. Looking at big picture needs and finding practical solutions can often make the difference between an average engineering firm and an excellent one. Construction & Resident Engineering: Saeed Associates has the solution for your company whether it’s part-time observation, testing, program management, or fu Saeed Associates has the solution for your company whether it’s part-time observation, testing, program management, or fu Saeed Associates has the solution for your company whether it’s part-time observation, testing, program management, or full-time resident engineering services. Our service-oriented approach to construction engineering allows us to be a true client advocate. Our professional knowledge and experience enables projects to be completed smoothly. Communication with your community is one of the many added-value services we provide. Our vision is to be your extended staff and to focus on your needs. Natural Resources: Managing your natural resources is an important concern for your community. We can solve your natural resource challenges. Saeed Associates understands that the process of planning with an integrated approach is often the key to these challenges rather than merely producing a report. We understand the changing regulatory environment. This includes reviewing activity, educating your community, obtaining consensus, and building constituencies. Saeed Associates helps manage your big picture and can resolve conflicts that often exist within your community. In partnership with state, local and federal regulators, Saeed Associates will protect your resources and interests. We focus on enhancing the natural attributes of a site, demonstrating sensitivity to the environment while creating a functional plan. Saeed Associates is dedicated to satisfying your unique needs. Using innovative approaches, Saeed Associates seeks common sense, practical solutions that meet the project objectives while remaining sensitive to the environment, providing an aesthetically and economically successful project. Working with the environment that is around us, we can build a better place. Structural Engineering: The aging and deteriorating condition of the nation’s infrastructure will require tremendous effort to meet the transportation demands of today and the future. Projects must not only meet the requirements of a site, but must also provide the most cost effective solution to maximize the use of decreasing federal, state and local budgets. New technologies, design standards and methodologies and material specifications require a thorough knowledge of structural behavior, analysis and design. Individual site conditions present unique challenges and a comprehensive understanding of project planning, design and construction is essential for successful project delivery. Our diverse staff of engineers allows us to provide a wide range of services. Our structural capabilities allow Saeed Associates to service a wide range of clients and their continually changing needs. Saeed Associates goal is to continue to increase our wide range of services, provide efficient, timely and high quality service that will make our clients even more successful.